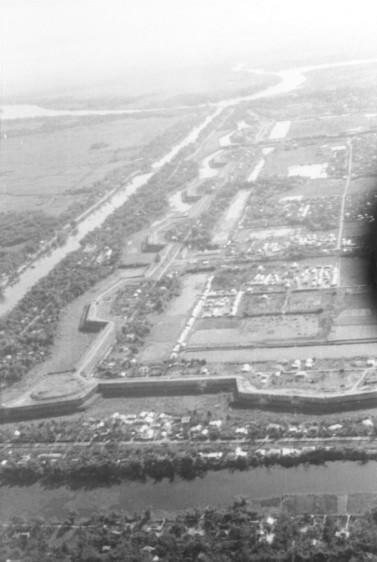 When communist forces overran most of the Citadel on the first day of the Tet Offensive, they may well have assumed that the walled fortress would be entirely in their hands in short order. Had it not been for the prescient actions of Gen. Truong, who kept his 1st ARVN Division on alert in Hue prior to the Tet holiday, PAVN and VC forces almost certainly would have won possession of the Citadel. Under massive assault, Truong moved his forces to the northern corner of the fortress, and from there fought a determined defense to keep the 4th and 6th PAVN regiments at bay. Although the communists were unable to pry the 1st ARVN Division from its stronghold, they took control of nearly all of the Citadel and established a tightly-organized and integrated system of defenses within its walls. From these nearly impregnable positions, PAVN forces continued to press for control of the Citadel. The fighting in the Citadel was perhaps even more intense than that south of the Perfume River. The compact battlefield within the walls severely restricted unit maneuverability, and the proximity of the opposing forces brought about savage fighting. Air and artillery support could not be effectively brought to bear for much of the battle against the PAVN, for fear that such firepower would harm friendly forces within the Citadel. As was the fighting south of the river, the fighting in the Citadel was house-to-house urban warfare at its bloodiest. When the skies occasionally opened up, South Vietnamese reinforcements were brought in by helicopter and helped ease the severe strain on the 1st ARVN Division, and by 21 February elements of the US 1st Cavalry Division blocked PAVN reinforcement routes northwest of Hue, effectively ending the enemy’s ability to replenish its battlefield losses. So Hue was cold. It was wet. It was—at the same time it was very hot in terms of contact. Everywhere you went you had to fight your way in and fight your way back out. - Bill Quigley [Oral History #OH0299], Transcript page 39 lines 27 – 29 . When Task Force X-Ray successfully secured the southern half of the city, the Marines then turned their attention to liberating the Citadel. The USMC 1st Battalion, 5th Regiment under Maj. Bob Thompson arrived in the Citadel on 11 February and within two days began the methodical and bloody business of evicting the communists from their defensive positions. 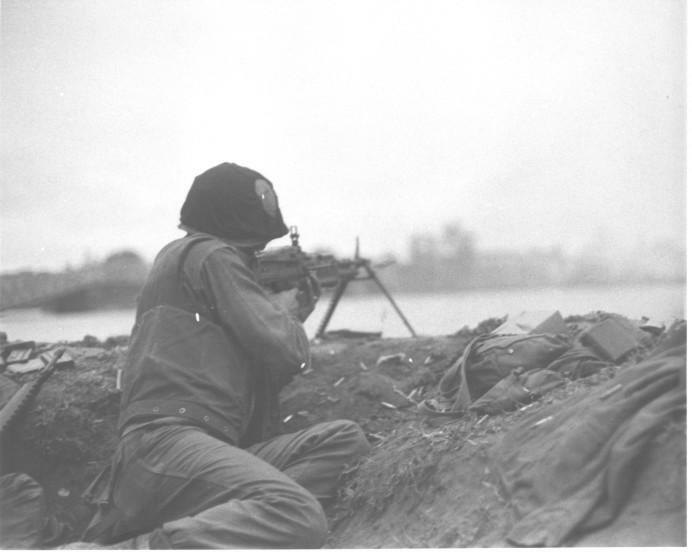 Again showing their ability to improvise and to master urban warfare, the Marines fought through the hundreds of homes, firing from behind low walls, targeting their enemy in windows, doorways, and even spider holes. As the weather continued to improve throughout the month of February, the Marines were able to bring to bear air and artillery support that eventually ground down the ferocious communist determination to hold the Citadel, forcing the enemy to abandon its positions throughout the fortress and to retreat from Hue. On 24 February, twenty-five days after the battle began, the city of Hue was free of enemy forces and back in the hands of the South Vietnamese.